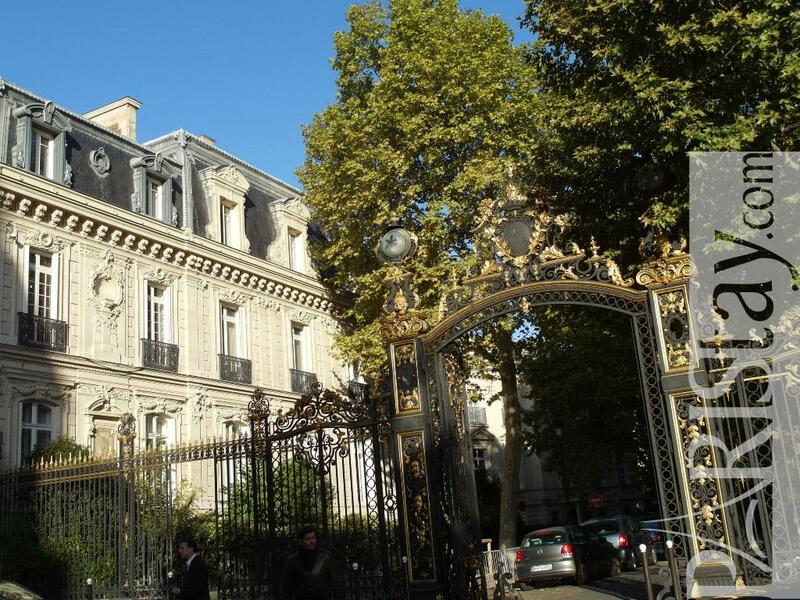 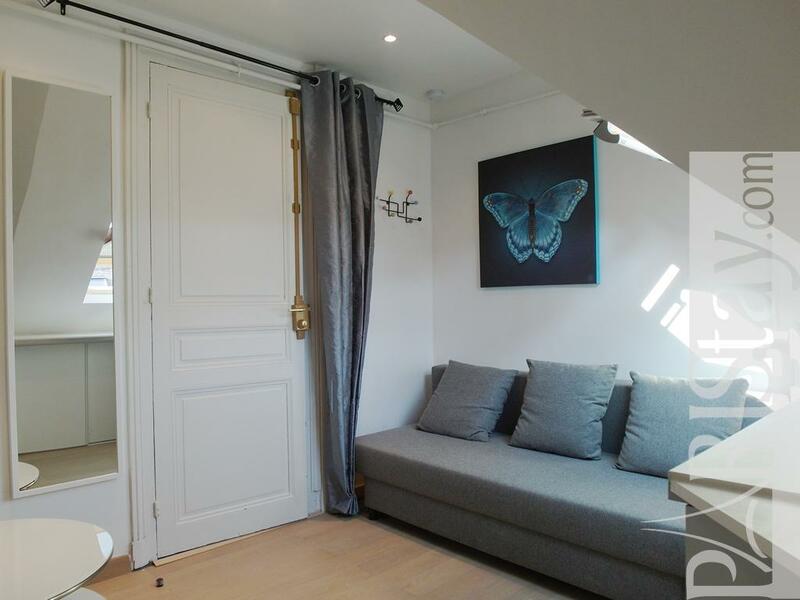 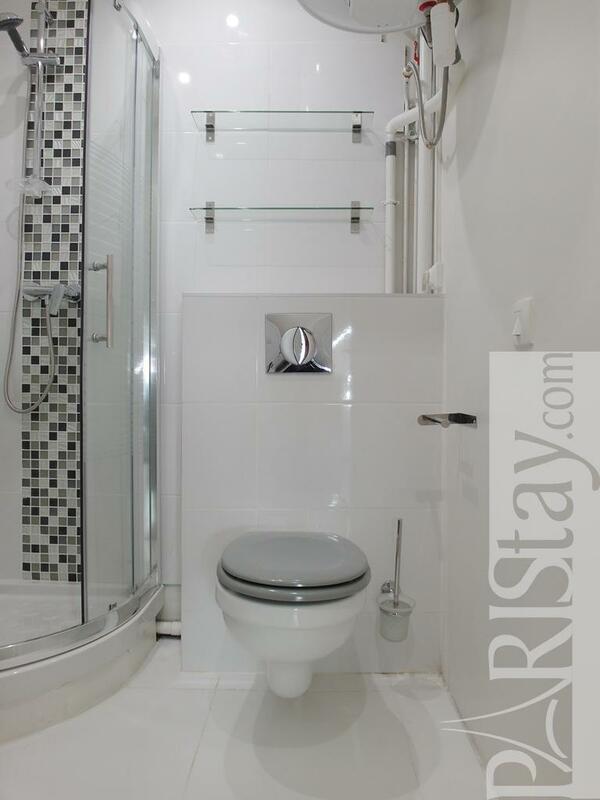 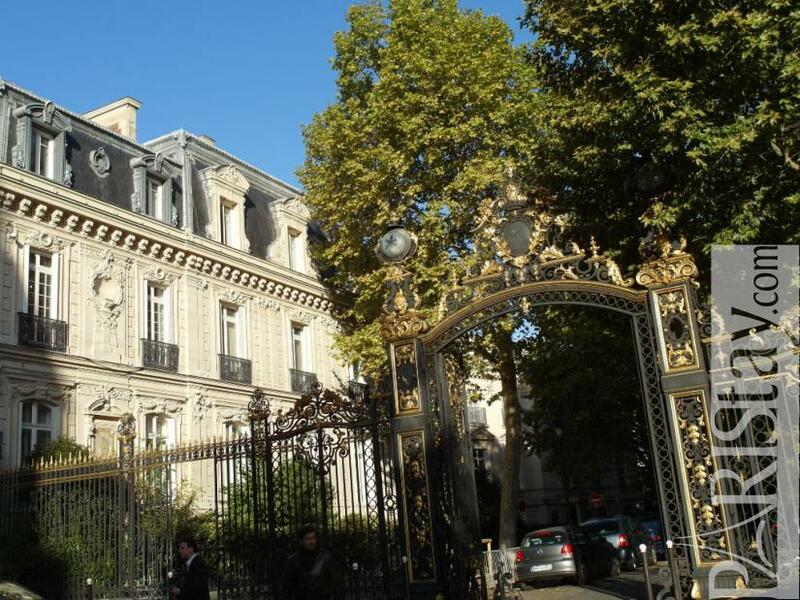 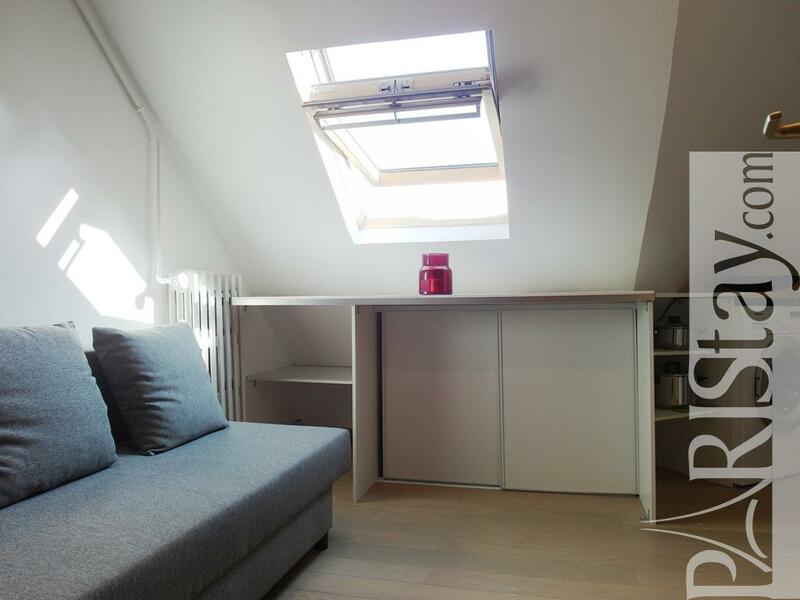 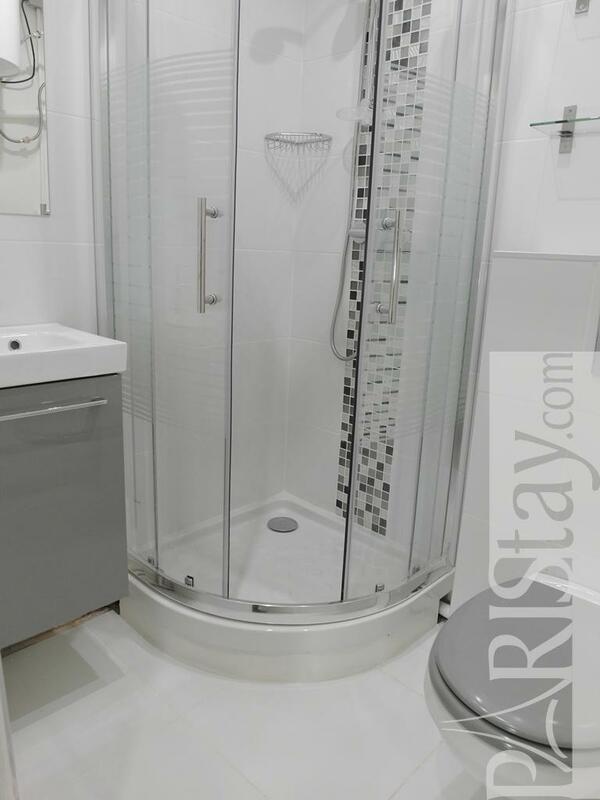 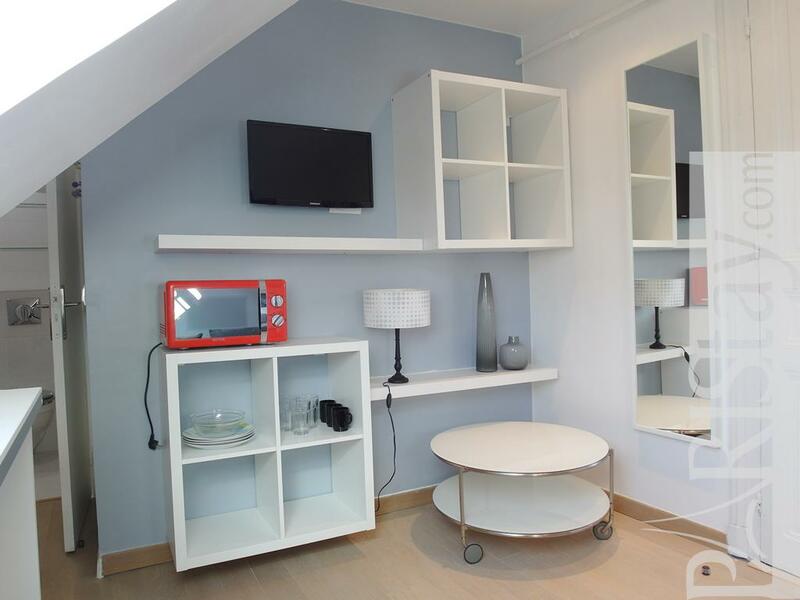 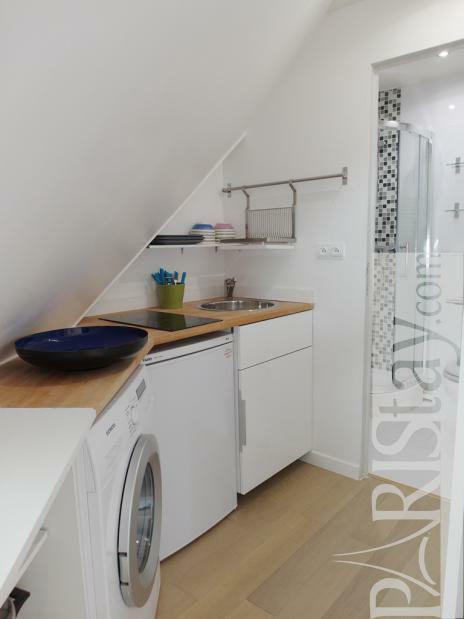 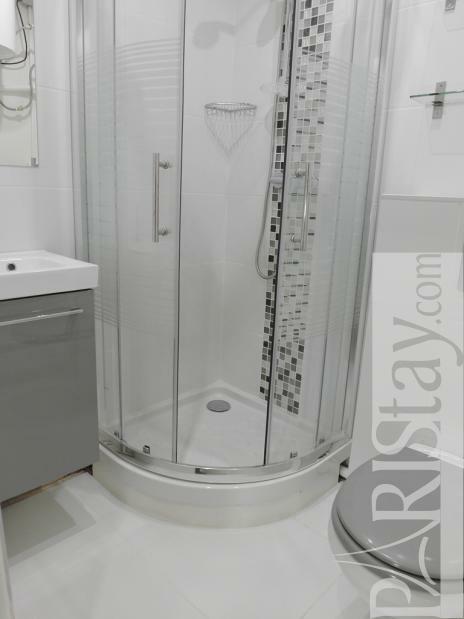 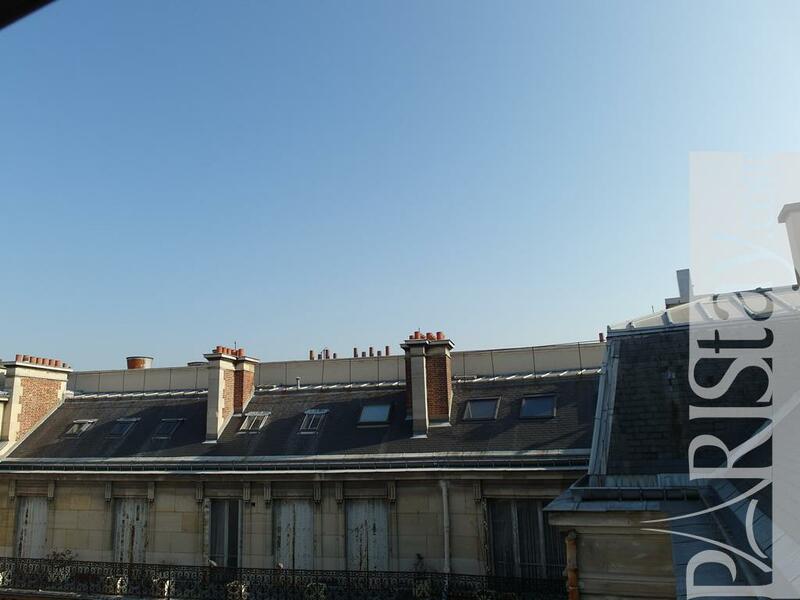 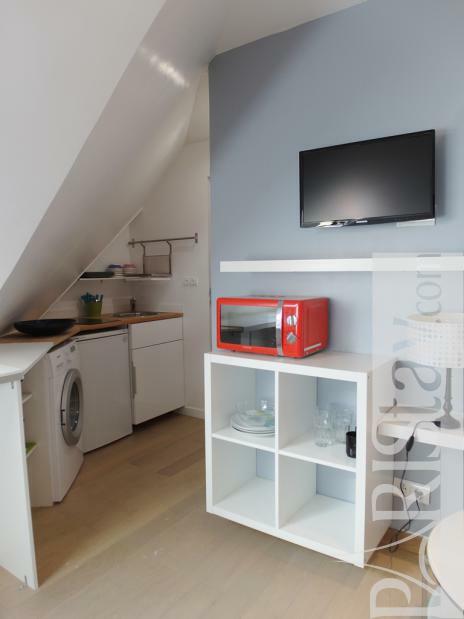 Charming Paris Studio for rent centrally located nearby Charles de Gaulle Etoile and the famous Avenue des Champs Elysées, in the very elegant 8th arrondissement. 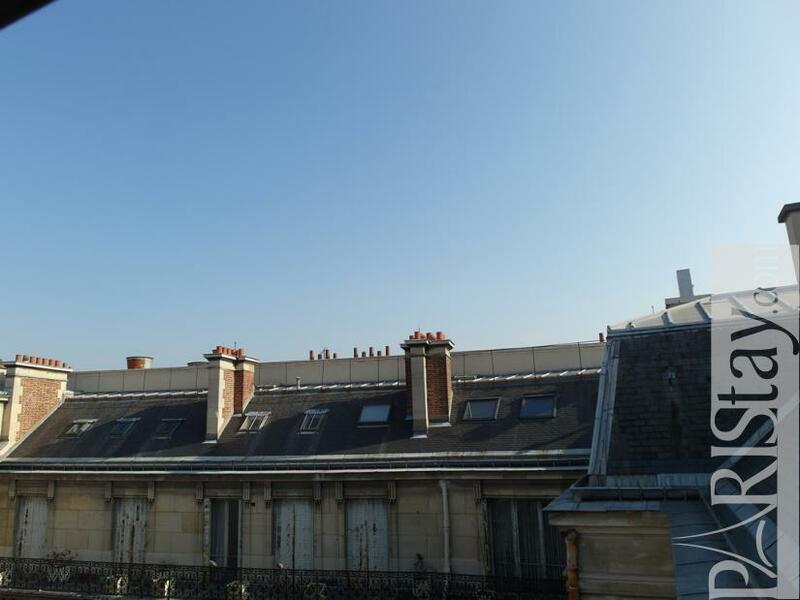 Nice place to enjoy Paris as a parisian : various shops around to get everything needed : supermarkets, bakeries, fruits and vegetables in the famous Rue Poncelet, convenient stores as FNAC, Habitat, Darty, Decathlon. 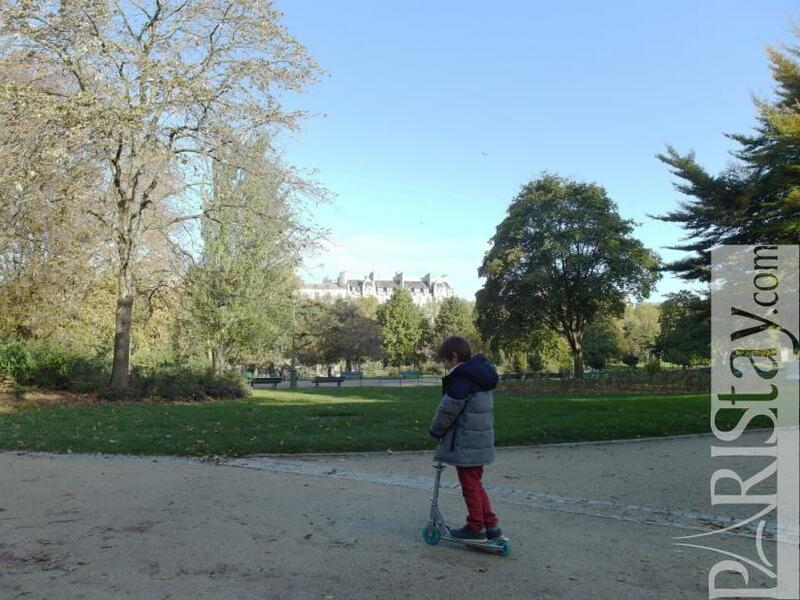 Need to have a break, a walk? 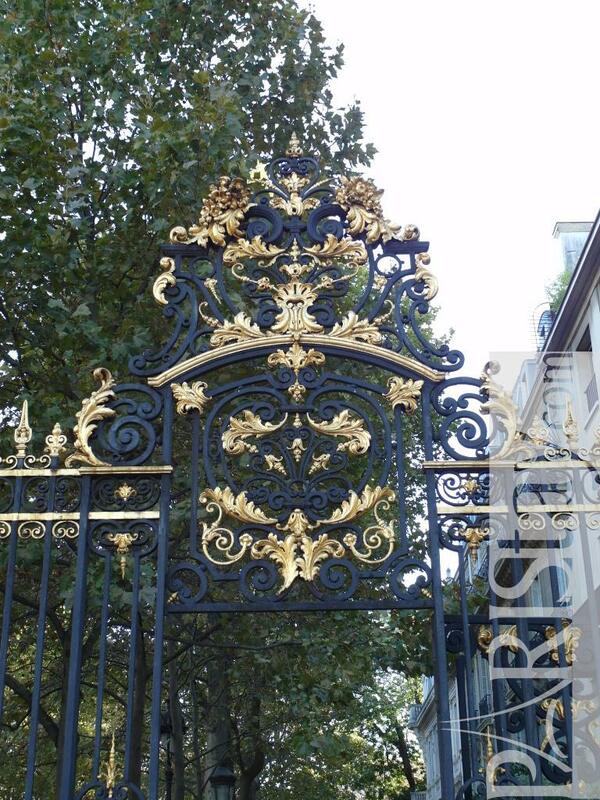 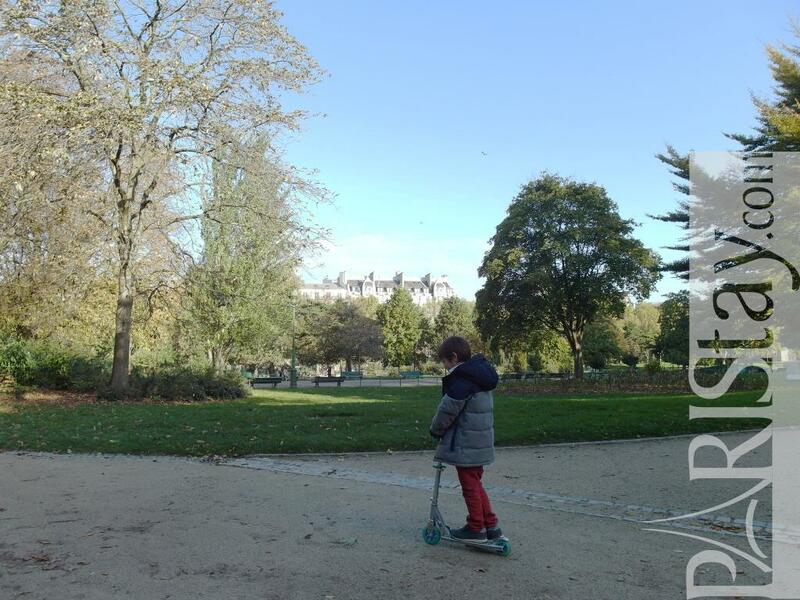 The beautiful Parc Monceau is at 200m walking from the apartement! 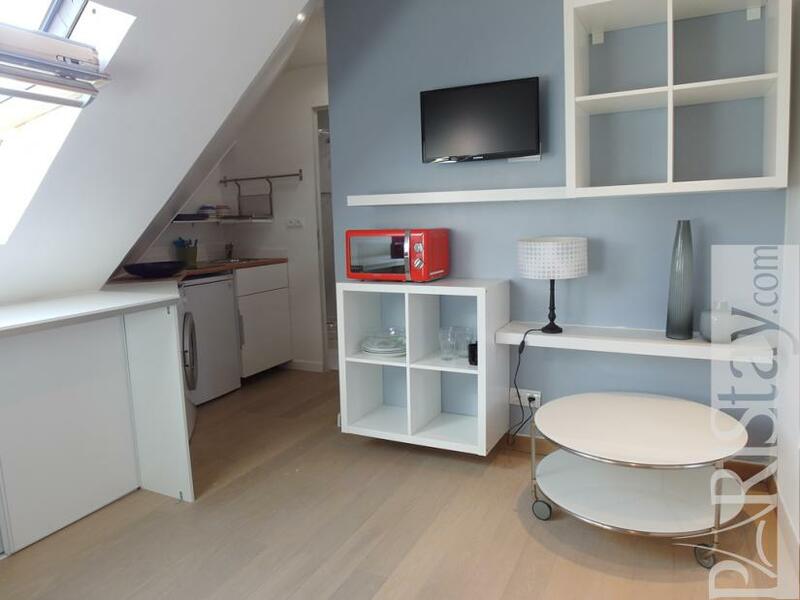 The flat is situated in a chic, safe and secured building, on the 6th floor with a lift that stops at 5th floor, on a very quiet courtyard. 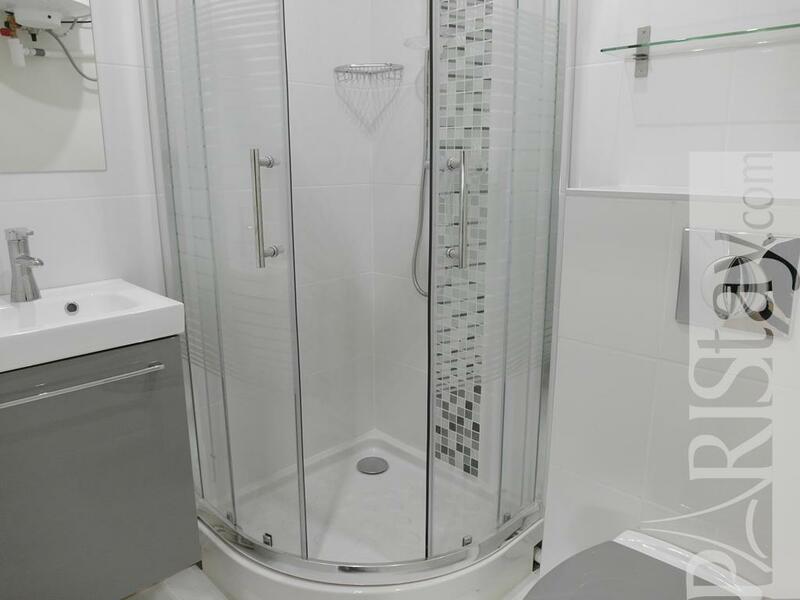 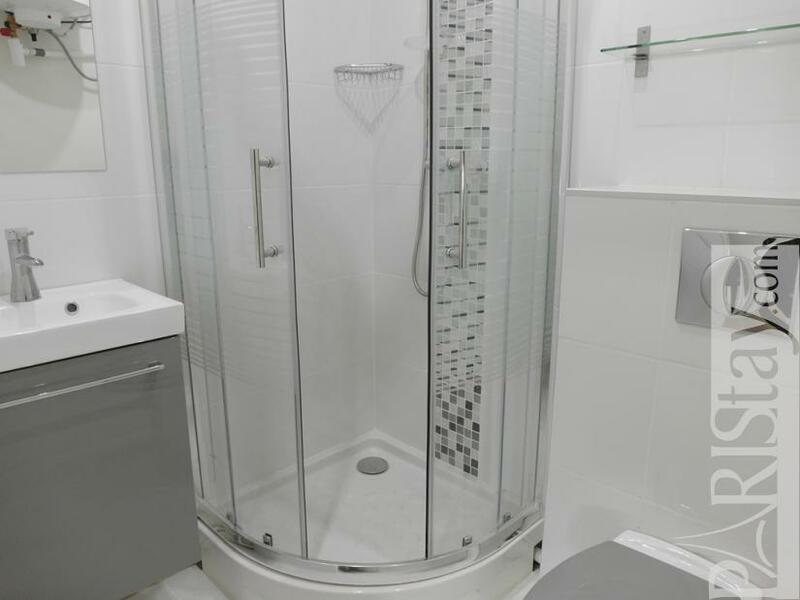 It has been totally renovated an decorated by the owner and offers a convenient plan of 15m2, including a large window with view on rooftops, a real kitchen area and a cosy shower room with WC. 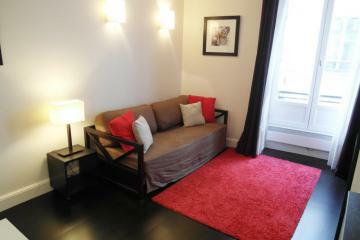 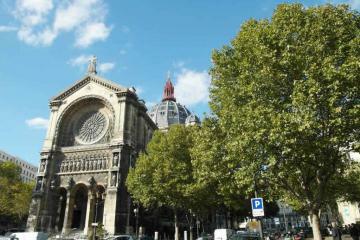 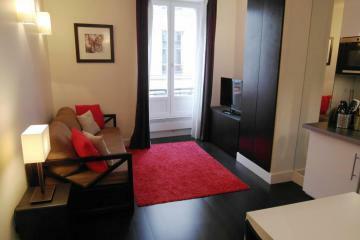 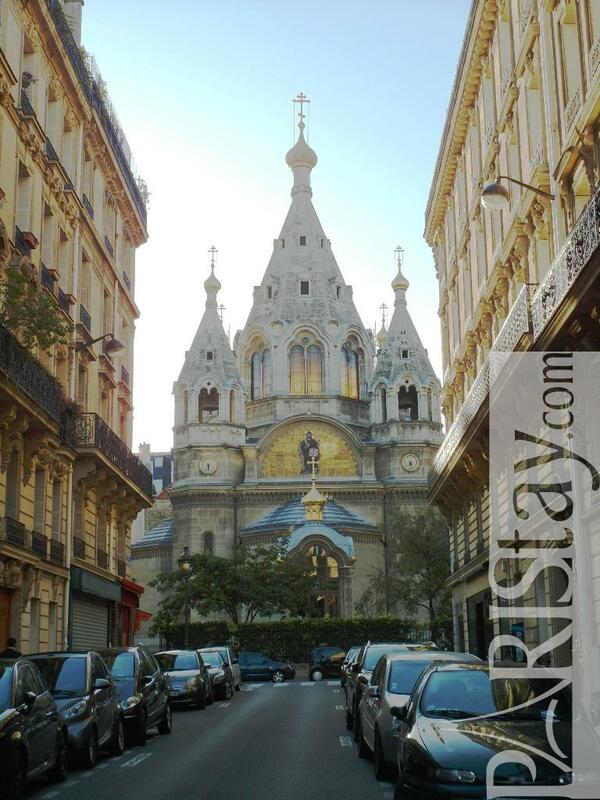 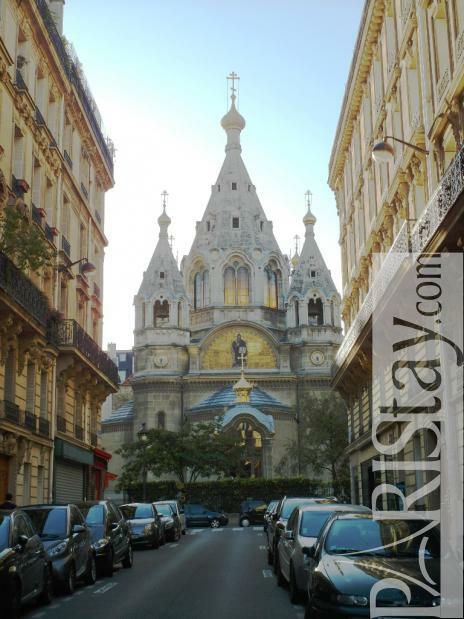 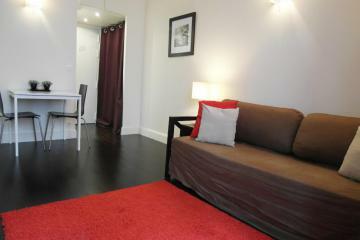 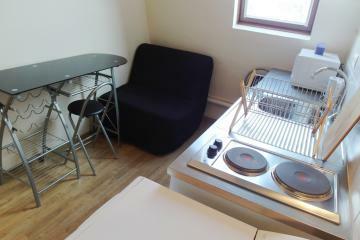 Perfect for a short stay, or a long term rental in Paris. Now available for bookings! 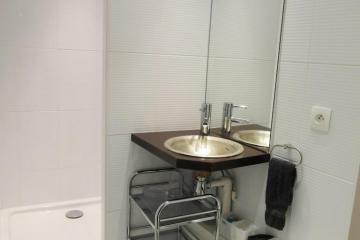 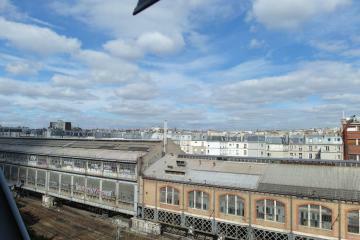 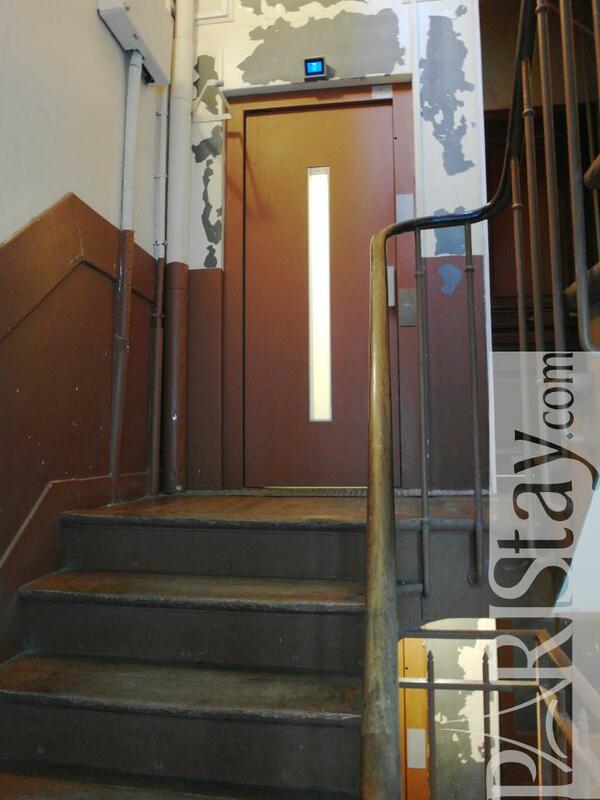 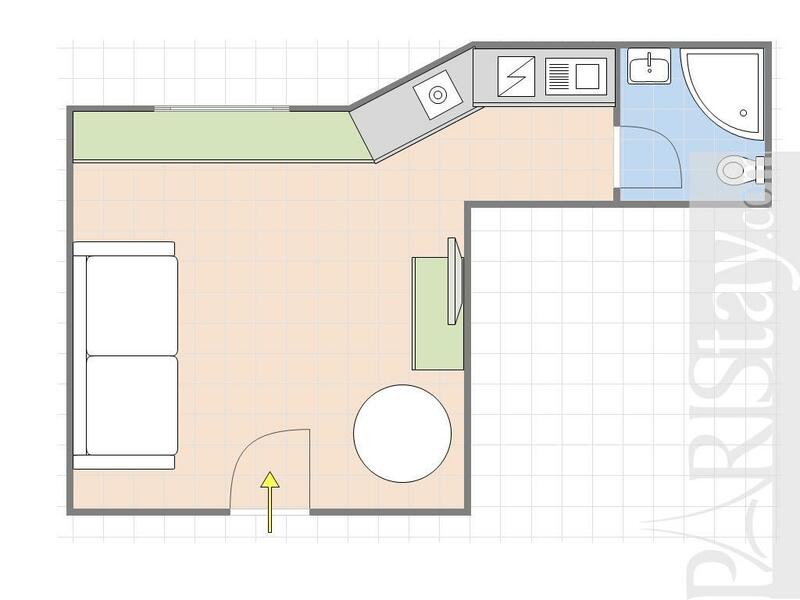 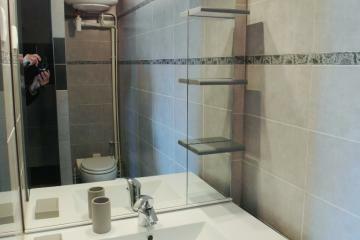 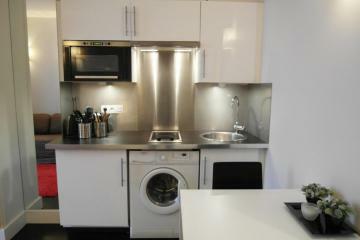 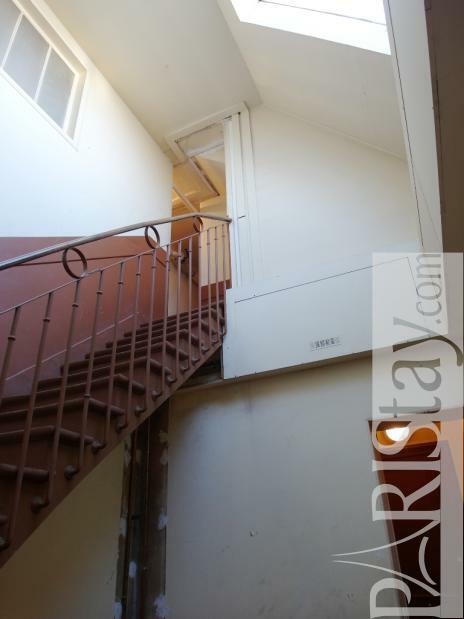 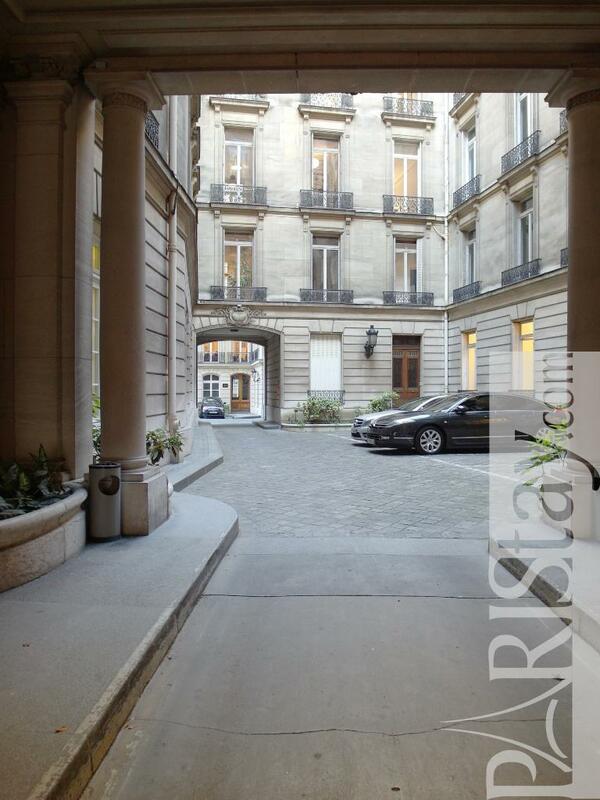 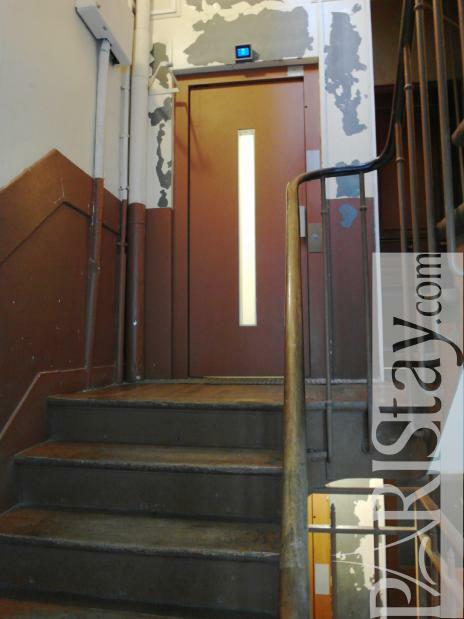 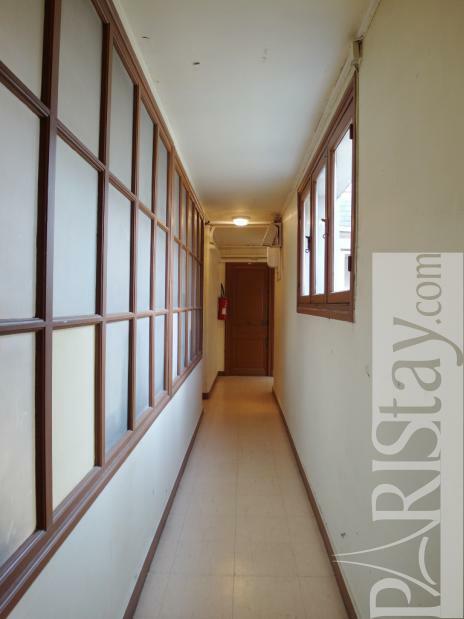 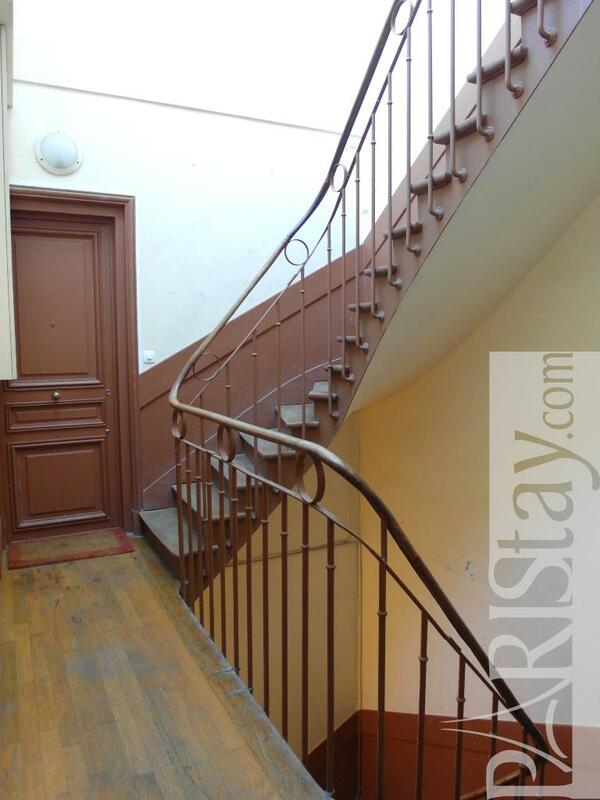 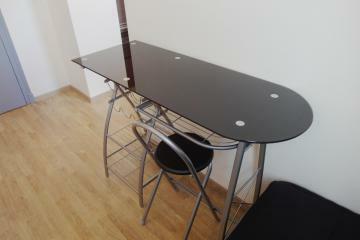 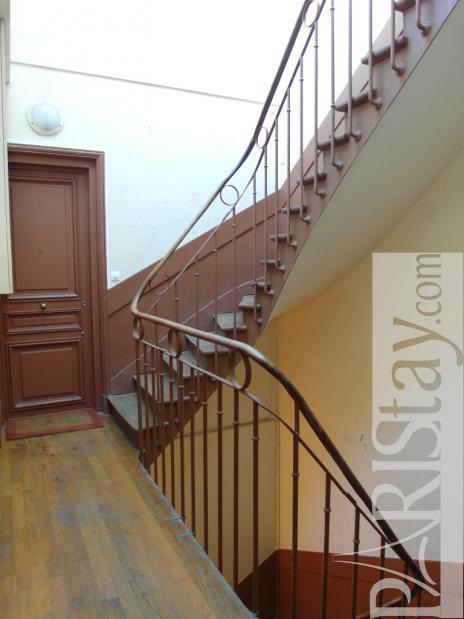 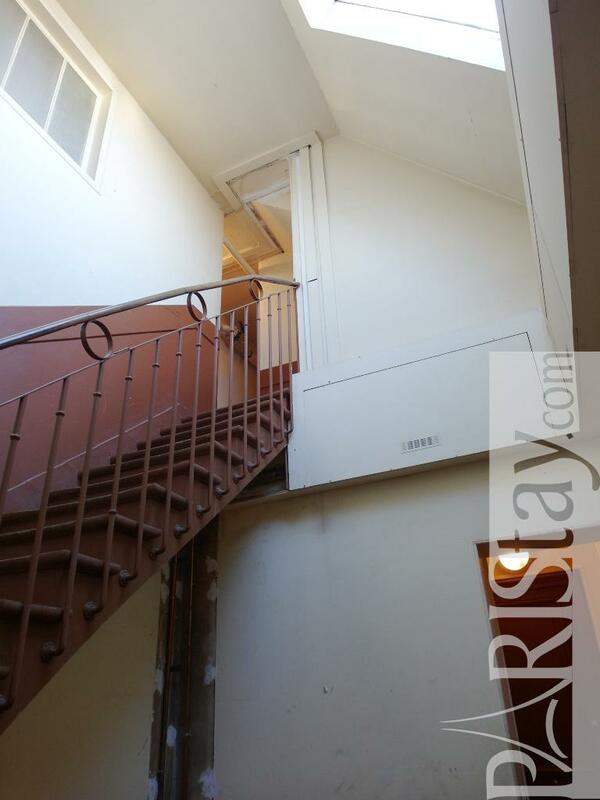 1870's Building, 6 rd floor, with Lift, Studio Appartement, furnished, Approx: 15m² / 161 Sq.Ft.